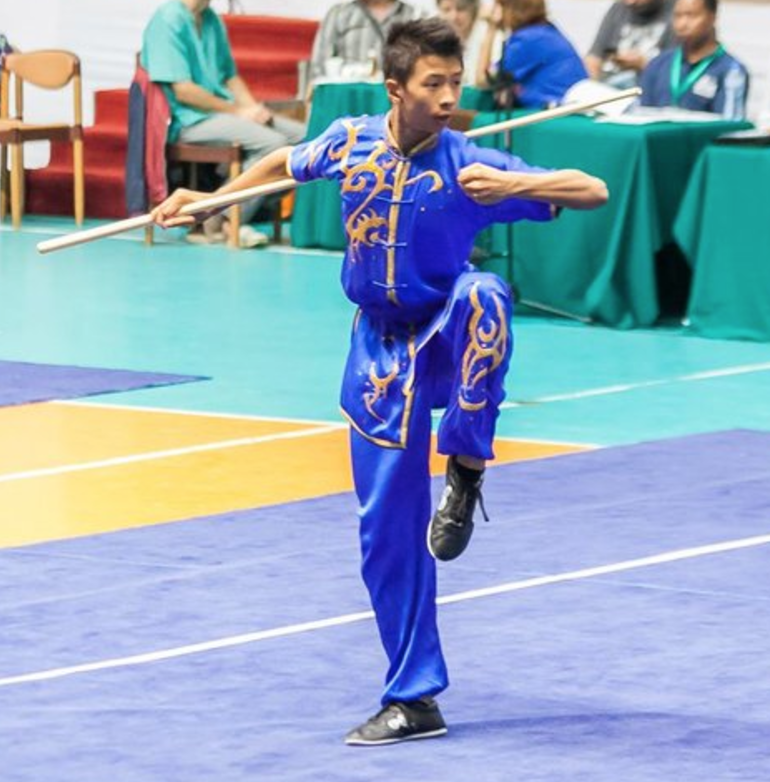 Taolu is a routine based competition that challenges the agility of individual athletes based on their ability to execute a series of high flying martial arts maneuvers and techniques both with and without the use of traditional Chinese weaponry such as swords and spears. Athletes are judged using an internationally adapted set of standards on their technical, expressive and difficulty merits by a panel of specially selected judges. The routines can be choreographed to highlight the competitor’s strengths and have time limits that are typically 1 minute and 20 seconds for most events. 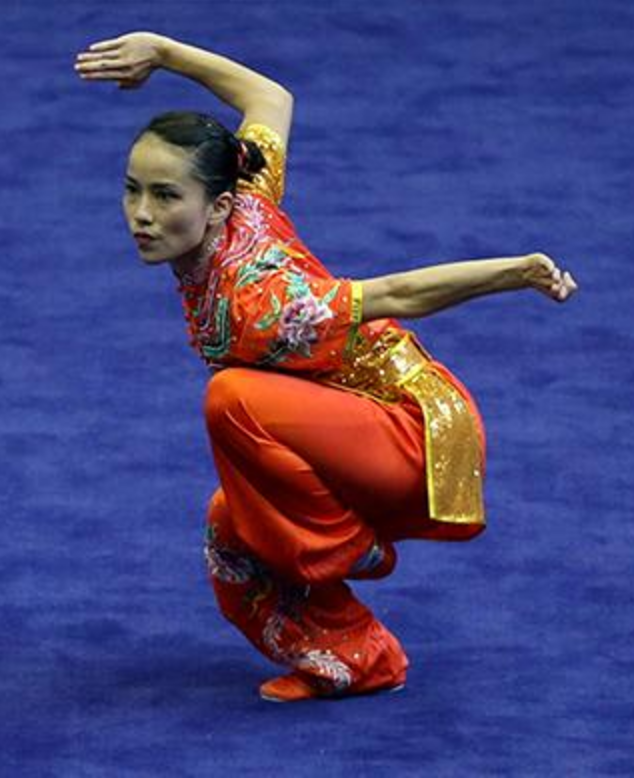 Taolu is considered as the non-combative performance based component of Wushu. Throughout the history of the Chinese Martial Arts, there may be several hundred, if not thousands of differing styles and schools of martial arts. Commonly known as “Kung Fu”, these varying styles are based on traditional animals, geography and historical factors that influenced their creation. Chángquán 長拳 (Northern Long Fist) features open postures, a wide range of punching, kicking and breathtaking acrobatics. Nánquán 南拳 (Southern Fist) features lower stances with fewer leg techniques and a focus on short, powerful arm strikes often with vocal accompaniment. Tàijíquán 太極拳 (Tai Chi) is an “internal” Chinese Martial Art, which is performed slowly and calmly, yet has powerful explosive techniques as well. Daoshu 刀术 (Broadsword) is a vigorous northern sword event, featuring ferocity and power. Jianshu 剑术 (Straightsword) features a nimble, graceful and swift northern sword (double edged). Nandao 南刀 (Southern Broadsword) uses a broadsword with southern stylistic principles. Taijijian 太极剑 (Tai Chi Straightsword) consists of a straightsword performed with Taijiquan principles. Gunshu 棍术 (Cudgel) is a Northern Cudgel featuring high speed wide ranging techniques. Qiangshu 枪术 (Spear) is a long weapon featuring precise and intricate techniques. Nangun 南棍 (Southern Cudgel) features a Cudgel performed with Southern stylistic principles. Competition floors for Taolu athletes are used at all International events spanning 46’ x 26’. The floor is carpeted with a 6’ safety area and is comprised of a cushioned raised platform to provide athletes stability and landing support. Three types of Judges (A, B and C) are trained to observer and score the athlete based on the 3 required elements of Taolu with a final score out of 10 provided after the completion of each routine. “A” judges provide a TECHNICAL score out of 5.0 and are responsible to deduct errors on movements and technical requirements which may include stances, balances, hand or weaponry gestures. “B” judges provide a “OVERALL IMPRESSION” score out of either 5.0 or 3.0 dependent on whether a “C” judge is in use. The “B” judge scores an athlete on merits such as speed, expression, striking power and rhythm or dynamics of a routine. In senior level competition a “C” judge is used who’s duty is to determine whether an athlete’s “DIFFICULTY” components meet the required standards. The “C” judge provides a yes or no completion to each difficulty component that is included in an athletes routine to a maximum of 2.0 point value. In junior level, open, traditional, and tai chi competition, typical judging panels consist of only A and B class judges.